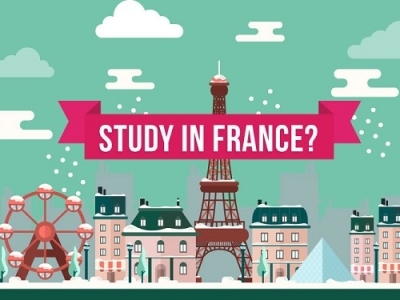 For international students, France has come up with a positive news. The APS Visa for France, which was temporary residence visa, has been converted into Carte de Séjour, which literally translates to residence permit. It is a French Residence Permit card, and with the change in name, there are many benefits coming on the way for the international students who study in France. Or have studied in France in past. Students who have completed Masters in France, or equivalent, can now stay back in France for one year, and look for the work. Validity: The France Residence Permit Card allows international students who have completed Masters in France, a stay back for one year after the program is over. The Carte de Séjour or French Residence Permit card in only for one year, and it is not renewable after that. To continue staying back in France, one has to find a job before the permit expires, or have a business in the field of their study. It is not clear yet if the current APS holders can apply for the French Resident Permit Card or not. However, if one has completed masters in France in last 4 years, they can apply even from the foreign countries. As mentioned above, the most apparent benefit of the French Residence Permit is the stay back of 1 year after the program is over. The students can look for a job, or start a business of their own in their field of study, can stay back in France with French Residence Permit Card. If the candidate’s monthly gross income is 2,281.82€, then there is no limit to working hours with French Residence Permit. Below that, the limit to work is 964 working hours a year. 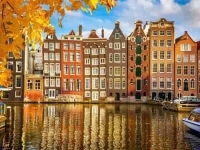 With the old APS visa, the limitation on working hours were 964 working hours a year, with French Residence Permit or Carte de Séjour, the student can work full time, without any restriction in the working hours. Students who have completed Masters in France, can apply for the Carte de Séjour even from their home country, if the application is done within four years of the graduation. The France residence permit card is for the students who are pursuing their Professional License, Specialized master or a Masters in France. The students can apply for the residence permit before their study permit or the resident permit in France expires. 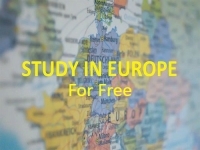 Students who have pursued a course in France which is equivalent to a Masters, can also apply for the Carte de Séjour (French Residence Permit). 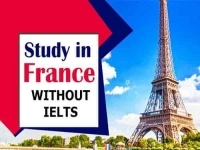 A student who has previously studied for a Masters course in France, can also apply for the French Residence Permit within four years of the completion of the program. The Application for French Residence Permit can be obtained from the prefecture (district) you are willing to reside once the studies in France will be over. Along with the application, there are some supporting documents that need to be submitted. Here are the documents student required for the French Residence Permit. If one has not obtain a Master’s degree and wants to submit it later, he or she has to submit the certificate of the success of the jury. The Long Stay visa in France is for the students willing to enroll for the programs longer than three months. If a student is enrolling for a Masters in France or any equivalent degree, then at the end of the program, students can apply for the French Residence Permit Card. The France Student Visa also works as a residence permit till the study program. With new French Residence Permit, the students are allowed to stay back in France for up to one year, looking for a job in France. How to apply for Masters in France?